We’re building EMX as a customer-first exchange, so educating the public about trading strategies and markets, and providing students around the world with learning opportunities is extremely important to us. 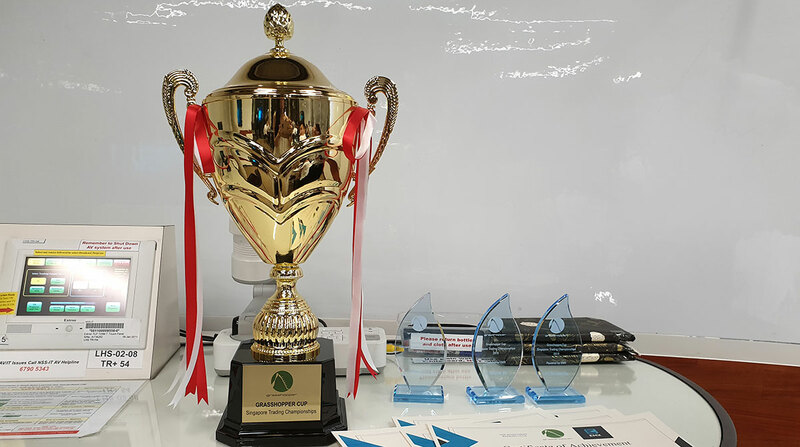 That’s why we jumped at the opportunity to host the first-ever Grasshopper Cup: 2019 Trading Championship with Grasshopper Trading and the Investment Banking Club at Nanyang Technological University in Singapore (ranked #12 in the world). 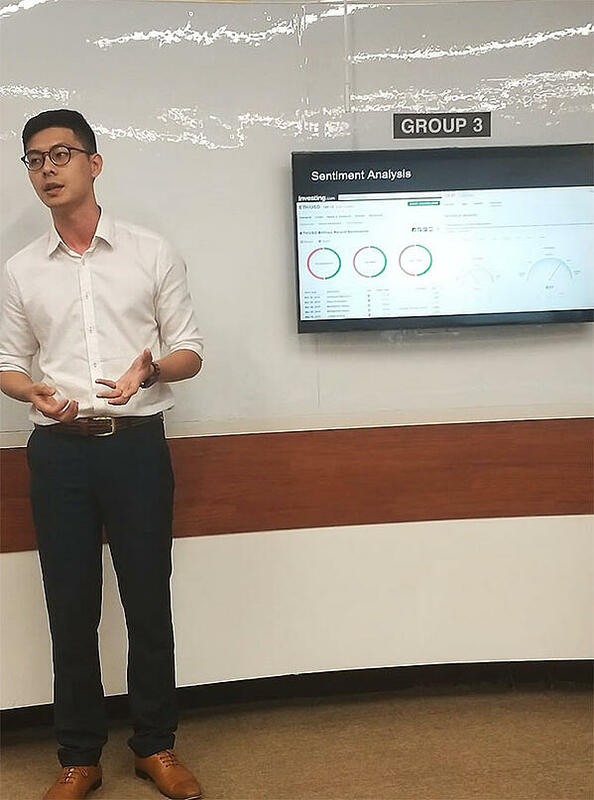 The Grasshopper Cup was a week-long, 3-round crypto trading competition, which allowed undergraduate business school students from all over Singapore the opportunity to win EMX tokens, interviews with both Grasshopper and EMX -- and a trophy to the first place winner. Interest was overwhelming: we limited the number of participants to 36 teams of 100 students. Each team was given 25 testBTC to trade with on EMX. We challenged the students to trade the Bitcoin, Ethereum, Bitcoin Cash and Litecoin markets, using any strategies known to them. In round 1, 36 teams participated, and over 2500 trades were placed, with varying levels of profit and loss. The top three teams were UnboxED (25.66 tBTC), West Street (25.07 tBTC), and Team GAYAGA (25.03 tBTC). All balances were cleared for round 2, and the top 18 teams moved on to compete another day. In this second round, Team JoLo (29.96 tBTC) clearly took the lead, earning an impressive 4.96 BTC in profit! Teams CAmily and West Street also earned some great profits, taking home final equities of 25.31 and 25.17 tBTC, respectively. CAmily placed over 700 trades alone in the 2nd round. The six best teams then moved on to complete in the Final Round. In this round, teams were not only judged by their total profit & loss but also by their strategies. Teams presented their strategies in front of three guest judges, including our own co-founder Jim Bai. A variety of trading strategies were used, from scalping to heavy trendline-following. One team, UOL Capital, utilized a smart risk management strategy where they allotted 2.5% loss per trade, pairing a total 10% at risk. Another team, JCS Capital, decided to trade ETHUSD only as it is a more volatile asset. In this round, JCS had the best overall profit & loss (26.55 tBTC), with CAmily (25.47) and Team GAYAGA (25.15) chasing close behind. 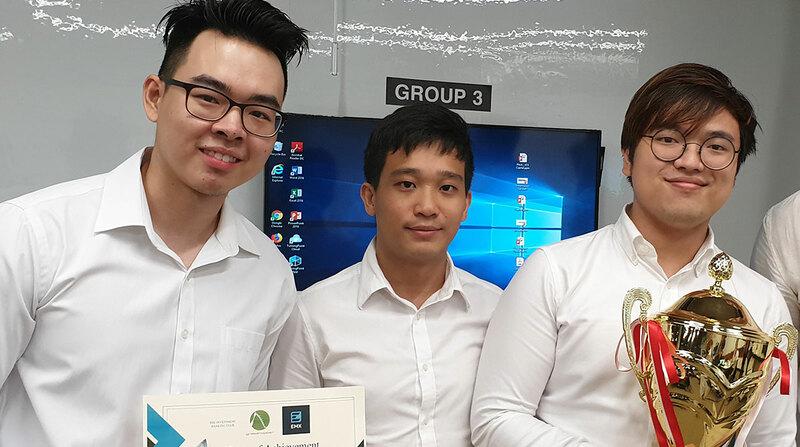 However, it was GAYAGA’s incredible 30-minute presentation that won the judges over in the end, as the team sealed the 1st place victory with their thoughtful trading strategies and consistent 3 days of profits. 2nd and 3rd place went to JoLo and UOL Capital, respectively. 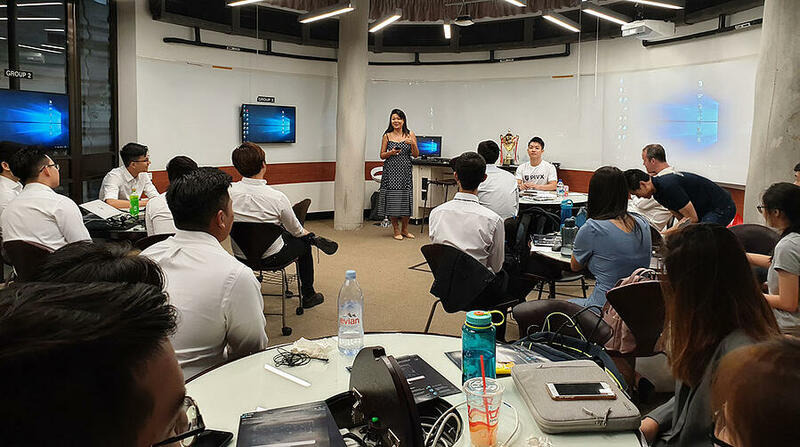 We’re grateful to have been able to host this competition, and in our interactions with the students we found many who are interested in learning more about crypto trading, EMX, and the future of finance. The students also provided us with some helpful feedback that we’ll keep in mind as we gear up for the launch of our derivatives exchange. Special thanks to Grasshopper and the students at NTU for the partnership, thrilling competition and innovative product suggestions. To the rest of the EMX community, just know this is only the first of many trading competitions we’re hosting. We plan on giving away thousands of dollars worth of prizes in the coming weeks, through various trading competitions, so start practicing on our Testnet and get ready to show off your trading skills!